Prime Minister Nguyen Xuan Phuc has asked the Ministry of Construction to work with relevant ministries to assess and accelerate a scheme for treating coal ash and other waste from thermal power, chemical and fertilizer plants and turn them into construction materials. A dispatch signed by vice chairman of the Government Office Nguyen Cao Luc on November 14 makes clear instructions by the Prime Minister. The Ministry of Construction and relevant agencies are responsible for mapping out solutions and sending a report to the Prime Minister before December 30, 2017. Collaborating agencies include the Ministries of Industry-Trade, Natural Resources-Environment, Science-Technology, Transport, and Agriculture-Rural Development. 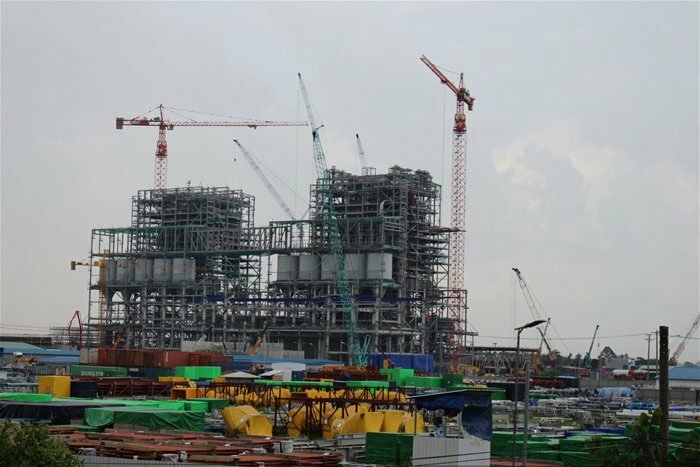 According to the Building Materials Department under the Construction Ministry, Vietnam now has 21 operational thermal power plants. The Government has plans to raise the number of thermal power plants to 57 by 2030. The amount of untreated coal ash is expected to reach 40 million tons by the end of this year, 248 million tons by 2025, and 422 million tons by 2030. Waste from thermal power plants is exerting mounting pressure on the environment and occupying a large area of land. Landfills of active thermal power plants cover 709 hectares, and the total area shall expand to 1,895 hectares after 2020. However, only 10% of coal ash has been collected and recycled for different uses, while the remaining 90% are buried. Tran Dinh Sinh, deputy director of the Green Innovation and Development Centre (GreenID), told the Daily that coal ash from thermal power plants contains 80% of fly ash and 20% of bottom ash. Contents of fly ash are similar to those of cement, but fly ash still contains about 20% of unburned coal. “Fly ash will not be usable unless the proportion of unburned coal is reduced to below 5%,” Sinh said. According to Sinh, coal ash may also contain some heavy metals like manganese and nickel, harmful substances like arsenic, cadmium and lead, and even radioactive substances. “To turn coal ash from thermal power plants into building materials, these substances must be extracted from the ash to make it safe for people’s health and environment,” Sinh said.